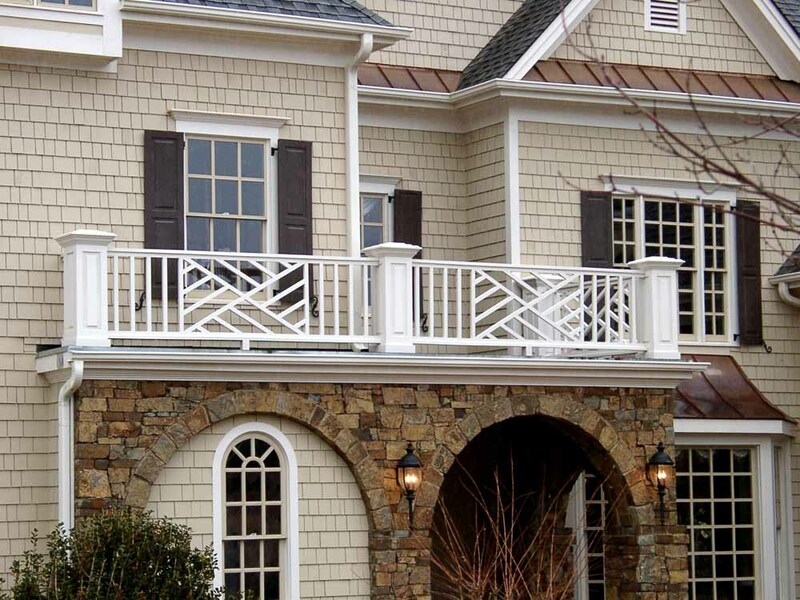 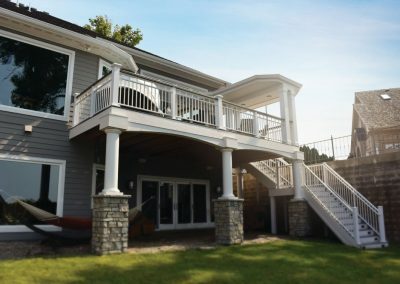 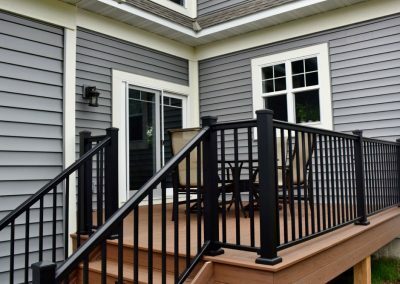 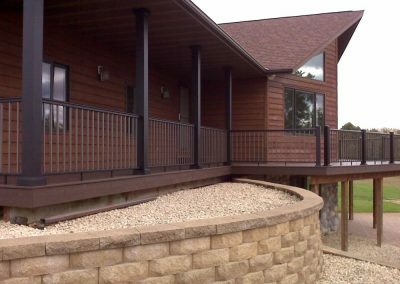 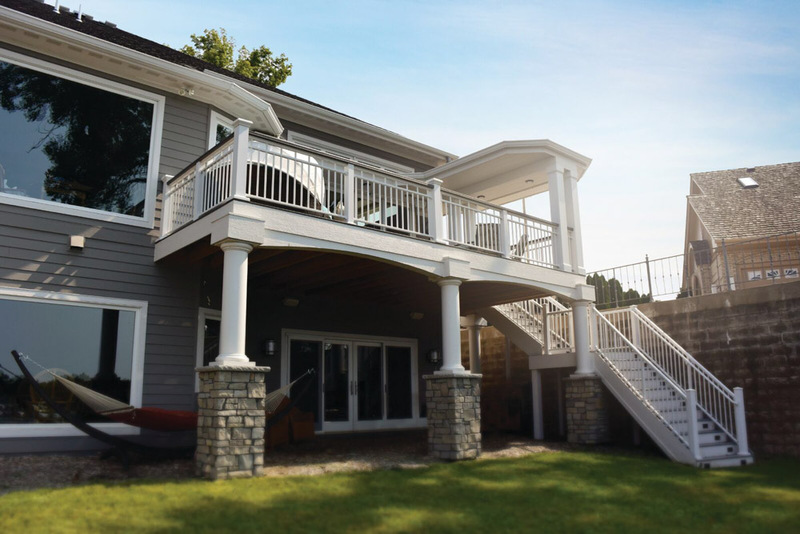 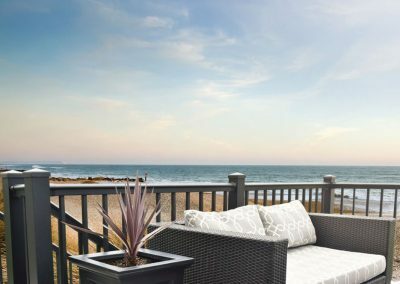 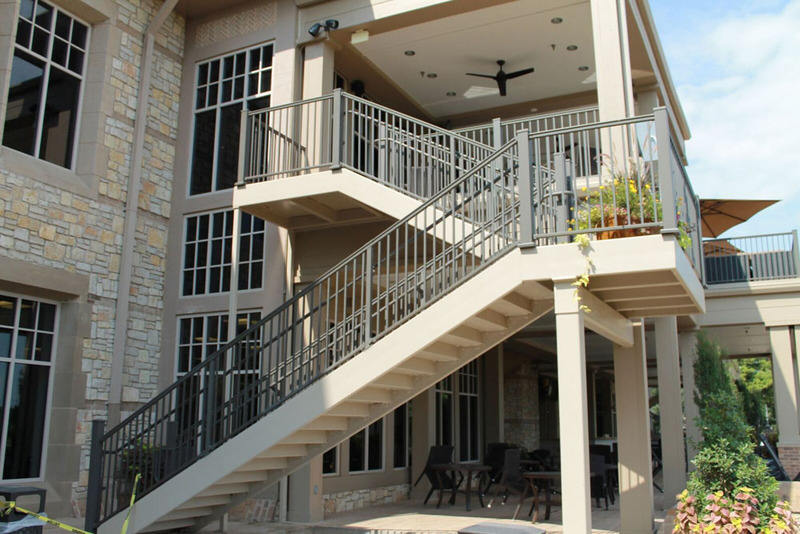 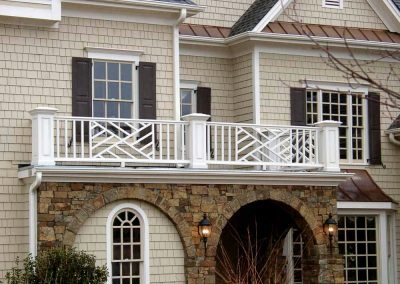 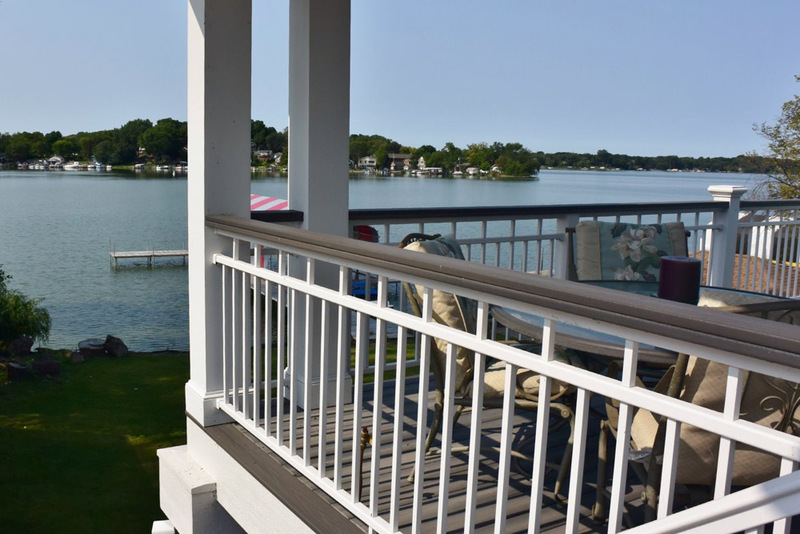 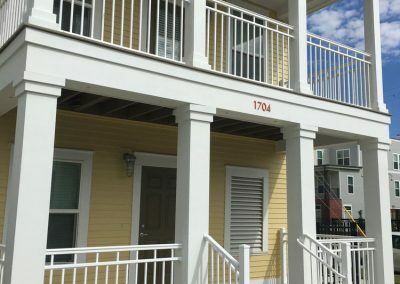 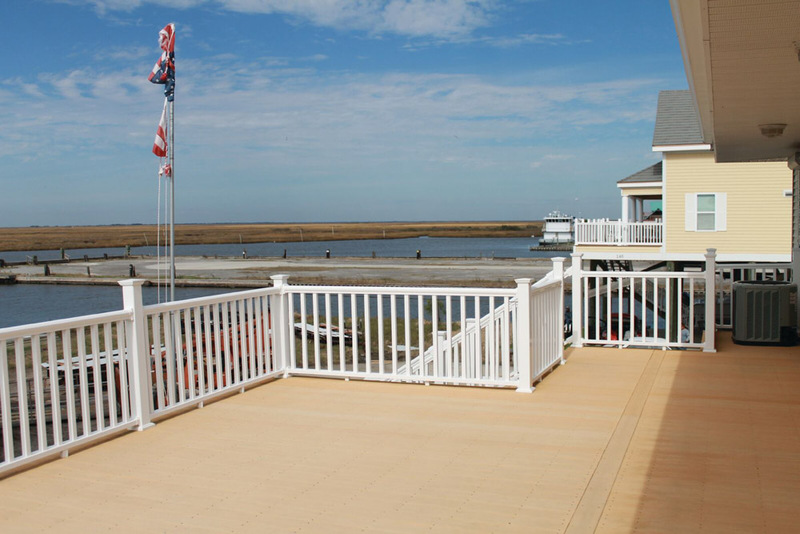 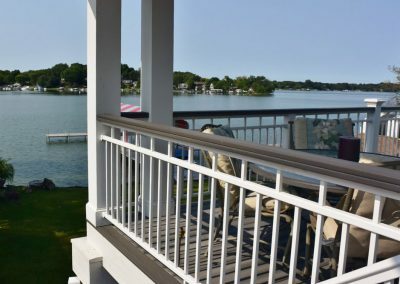 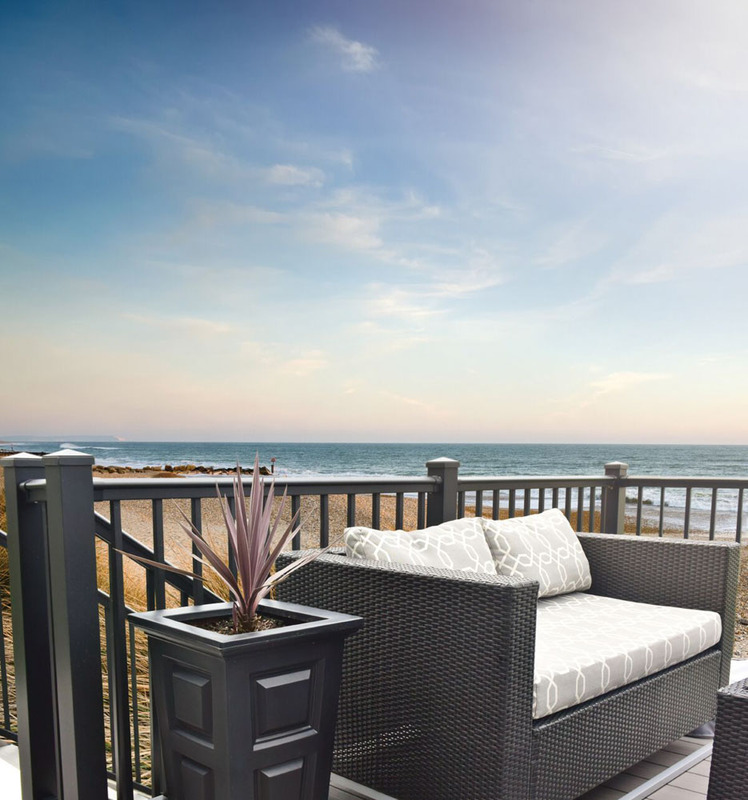 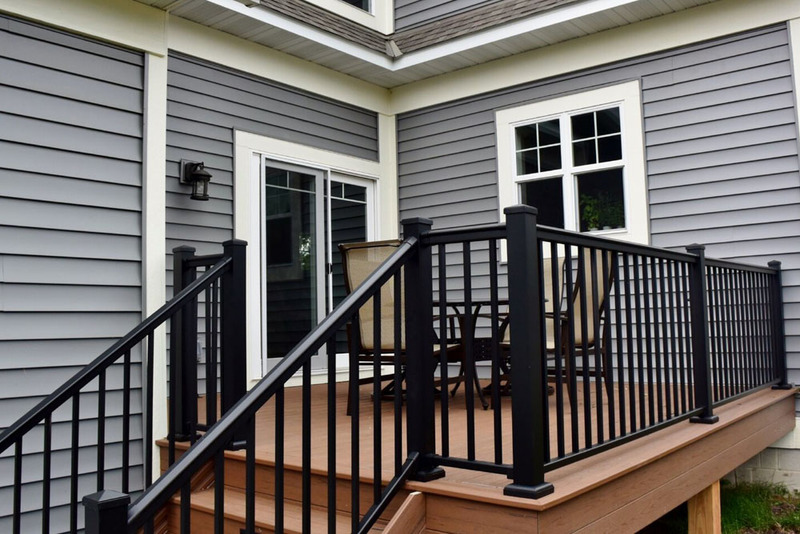 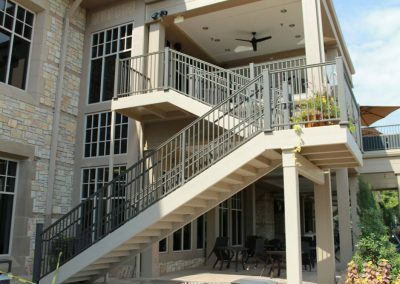 We offer one of the most extensive and cost-efficient deck railing selections in the industry, all of which are PAINT-FREE and carry a lifetime warranty. All are structurally reinforced and pass all national residential & commercial building codes. 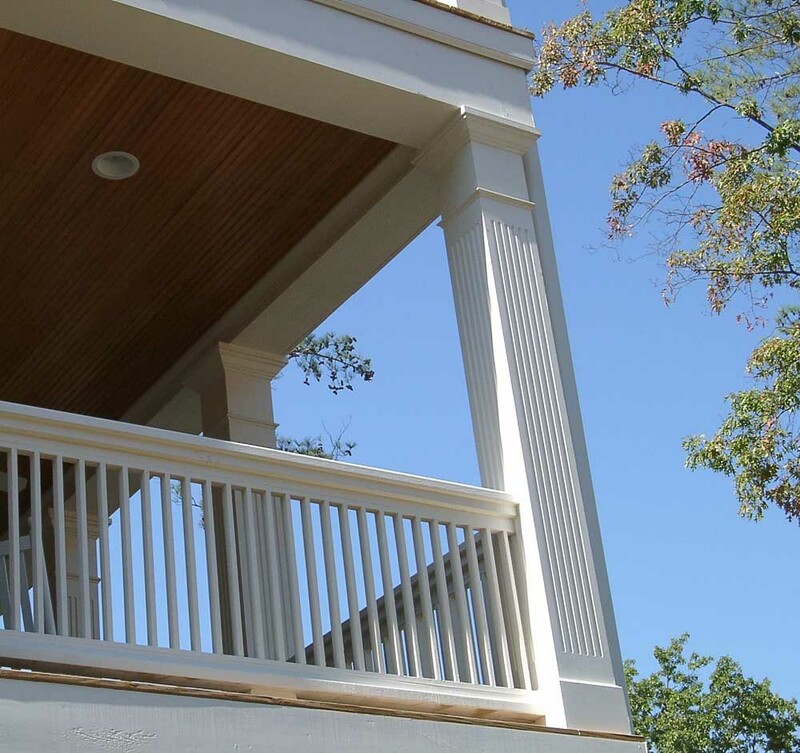 This is considered more of a “deck railing” as you choose between a ¾” round or ¾” square spindle with a nice/standard contour top rail and bottom railing. 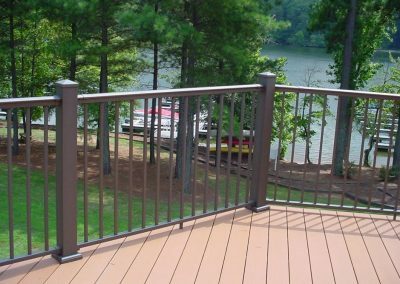 This aluminum railing is available in both GLOSS and TEXTURED FINISH, in numerous colors as shown in the downloadable catalog at the bottom of this page. 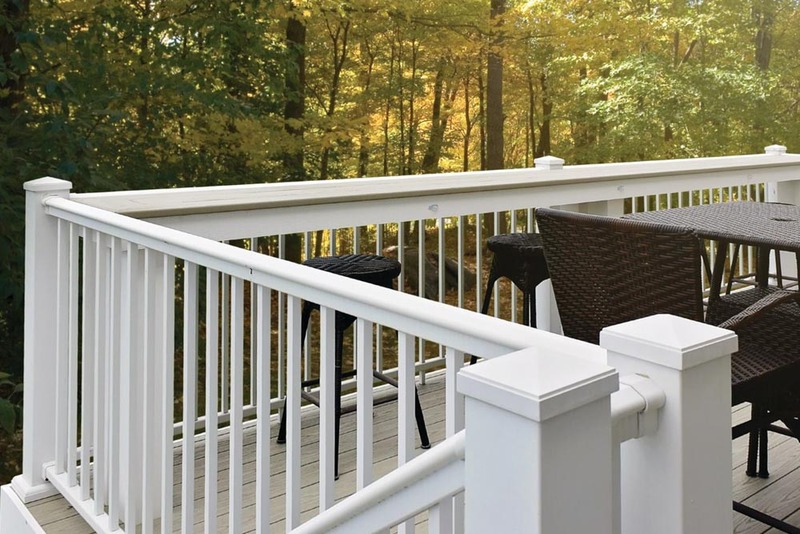 These are priced per section/length with each section including top/bottom rails with inserts, all balusters needed for standard 4” code spacing, as well as the bottom rail support block and standard installation/mounting hardware for the top/bottom rail on each end. 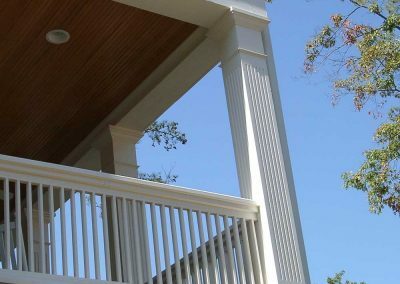 This system is readily available and can be ordered in combination with our round/square aluminum columns with all parts matching exactly in color/finish. 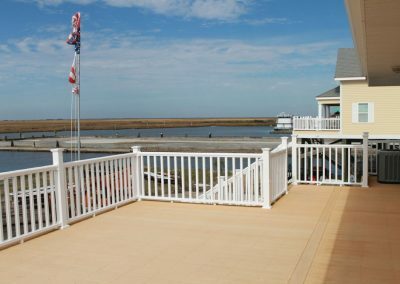 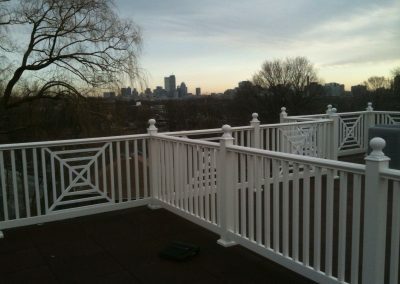 We carry standard vinyl deck/porch railing which is completely paint/maintenance free with MOST offerings available in white, tan, and khaki. . We also carry 2 larger vinyl “balustrades,” the “Legends” and “Masters” systems. 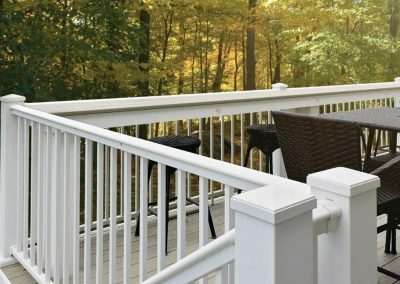 These are for customers who want the greater size/appeal of a balustrade but with the same maintenance free convenience of the smaller vinyl railing. 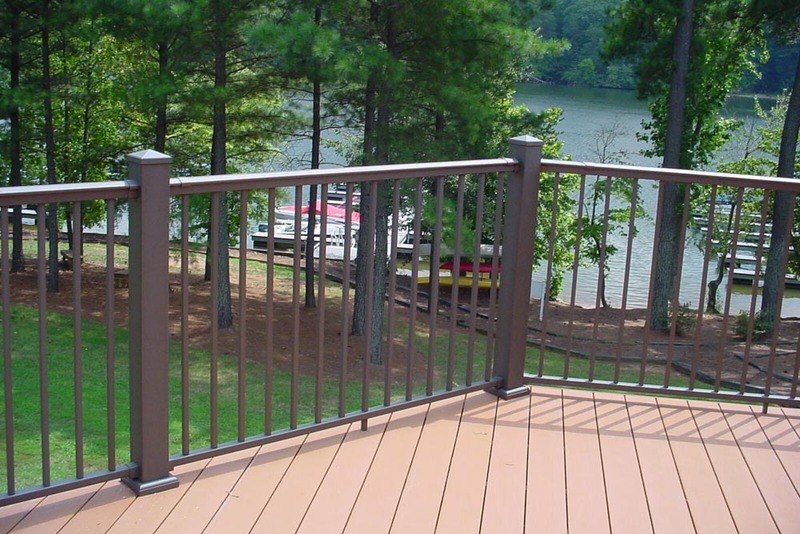 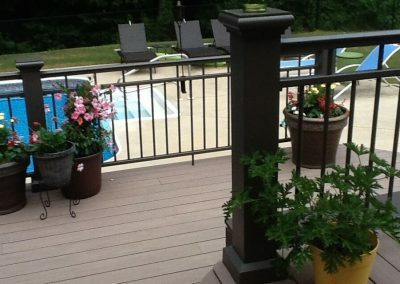 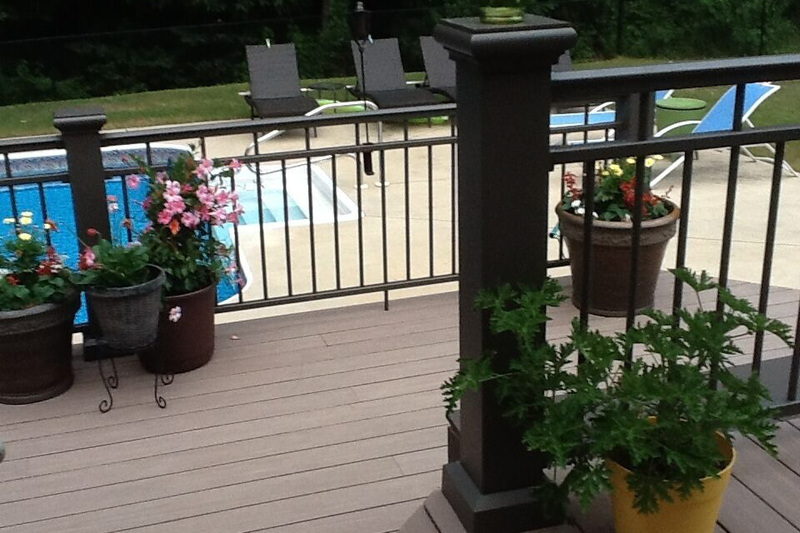 Vinyl options also include vinyl top/bottom railing with PRE-COLORED ALUMINUM BALUSTERS or CLEAR ACRYLIC PANELS. 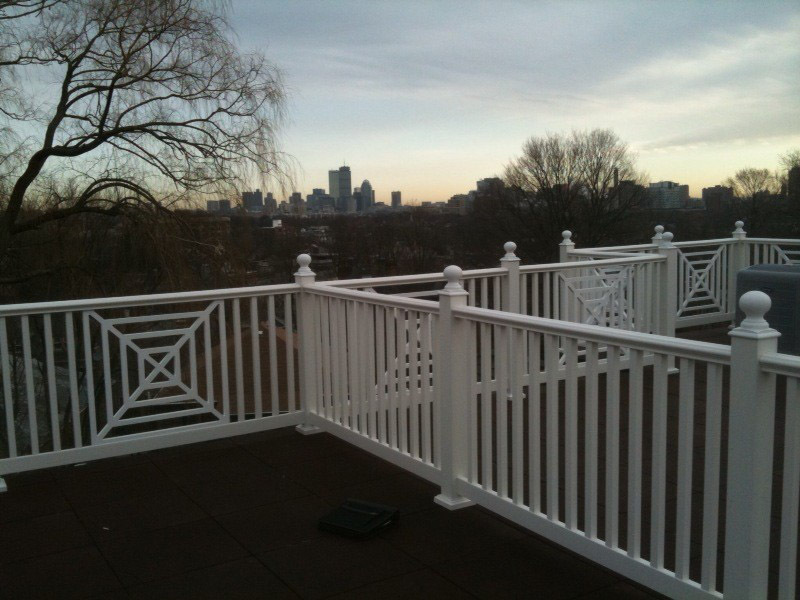 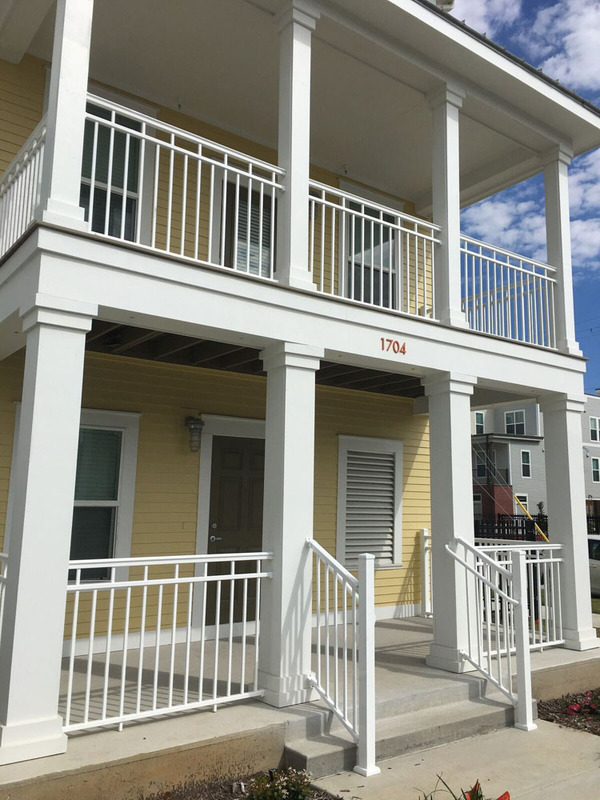 All our vinyl railing is made from 100% Virgin Vinyl PVC compounded with high levels of Titanium Dioxide pigment to insure UV resistance, and impact modifiers for long term durability and structural integrity.